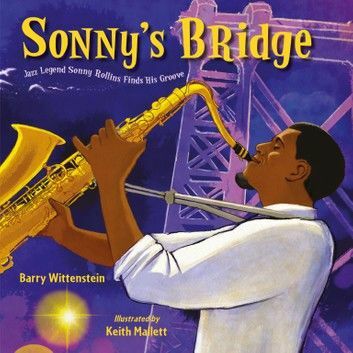 This groovy, bebopping picture book biography chronicles the legendary jazz saxophonist Sonny Rollins's search for inspiration on the Williamsburg Bridge after quitting the jazz scene in 1959. Rollins is one of the most prolific sax players in the history of jazz, but, in 1959, at the height of his career, he vanished from the jazz scene. His return to music was an interesting journey--with a long detour on the Williamsburg Bridge. Too loud to practice in his apartment, Rollins played on the New York City landmark for two years among the cacophony of traffic and the stares of bystanders, leading to the release of his album, The Bridge. Written in rhythmic prose with a bebop edge, this picture-book biography of Sonny Rollins's journey to get his groove back will delight young and old fans alike.